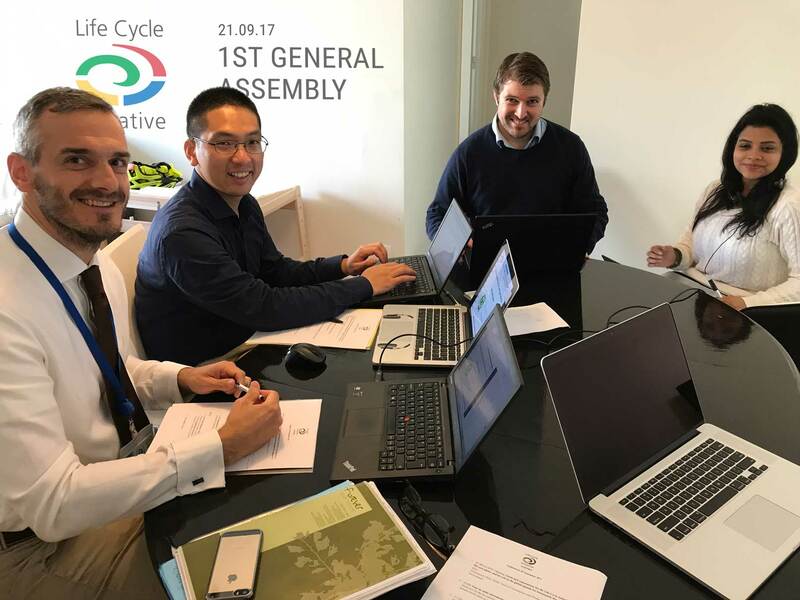 On Thursday 21 September, over 50 members of the Life Cycle Initiative gathered ‘virtually’ for the first General Assembly, held online. Elisa Tonda, Head of the Consumption and Production Unit of UN Environment first set out the framework within which the Life Cycle Initiative will be working for the next four years in its new phase of activities, reflecting on the relevance of the Initiative’s work to the larger sustainable development agenda. Following this, the members were given the opportunity to introduce themselves. While there were many familiar names and affiliations given — persons who had already been involved in previous projects and phases of the Initiative — there were equally as many new additions among the participants. The Initiative Secretariat hosts the first virtual General Assembly of the members. As this was the kick-off event for the Initiative’s newly formed membership, much of the time of the General Assembly was given to brief the participants on the modalities of the new phase of activities, enable members to familiarise themselves with the upcoming project areas and project proposal/selection process, project fund-raising and resource mobilization, governance changes, and the process for voting in the Steering Committee. Voting has already begun and will conclude on September 25 at 13:00 CET. General Assembly participants actively participated with questions and feedback on all the topics covered, particularly those related to project proposal and selection, and generally showing a keen interest in participation on the projects of the Initiative’s next phase. Finally, the various means by which members can stay informed on news and developments were outlined, with a focus on the Initiative’s newsletter (LC Net), the website and social media feeds (Twitter @LC_Initiative and Linkedin organization page).